As an experienced .net development company, Ayoka focuses on earning the highest level of customer satisfaction for business initiatives involving .NET Software Development and .NET consulting services for a wide range of web, enterprise, and mobile software applications. Ayoka’s agile software development and enterprise integration services ensure that your .NET application will translate business objectives into enterprise systems aligned with your vision. From the initial consultation through deployment and support of your .NET application Ayoka focuses on open dialogue and creative thinking to ensure software code is flexible to future changes in your business. Our .NET developers have extensive experience in designing custom software applications that address the following. 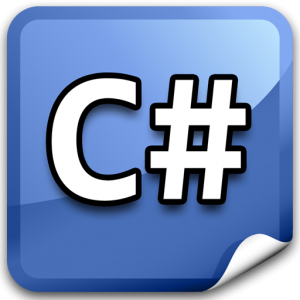 Built on the Common Language Runtime (CLR) Ayoka’s .NET developers code custom applications in high level languages, including C# and VBScript, in MSIL (Microsoft Intermediate Language) which is then compiled and converted into the native code of your legacy operating system. The MSIL code can also be compiled to native code prior to runtime which eliminates the need for MSIL-to-native compilation at run time which expedites subsequent runs. The .NET framework offers a unified development environment that supports multiple web and desktop software applications. .NET software development brings with it a programming model incorporating Web forms, server-side controls, data binding, and web services. Web forms and server-side controls work by tailoring the markup language they generate to match the client’s browser. Data binding formalizes exchanging data between controls at runtime (such as edit boxes and combo boxes) and data variables within the Web site program. Finally, Web services formalize the process of getting multiple computers talking to each other automatically using XML and HTTP (SOAP). .NET is effective for creating web services in which a machine’s software can be accessed as a SOAP server or through REST API’s. Contact Ayoka for a complimentary consultation for your business and feel the difference with a Texas .net development company. .NET Software Development and consulting by Ayoka helps businesses identify opportunities for implementing the performance and cost benefits of the .NET environment. This is accomplished by compiling server-side code to DLL (dynamic link libraries) that reside on the Web server offering time and cost savings on the developer side and performance enhancements on the user side. The .NET language also allows Ayoka’s programmers to compile code prior to deployment which eliminates the need for just-in-time compiling. The result is an application environment that is extremely agile and responsive to evolving needs.